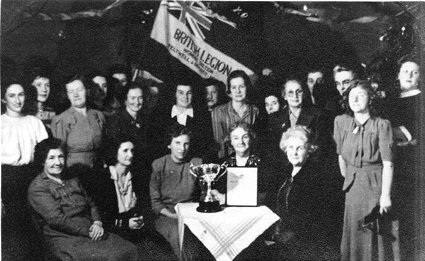 Taken in the Mission Hall. 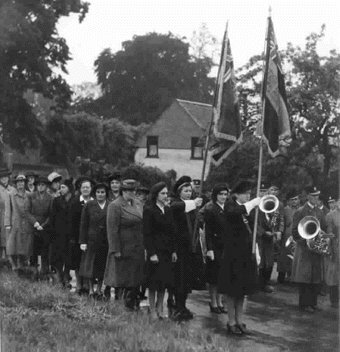 Three photographs of the Dedication of Feltwell Womens' Section of the British Legion. 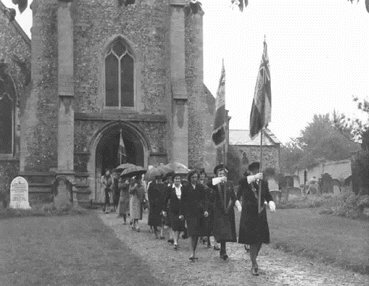 The County Standard is in front with the Feltwell Standard being carried behind by Doris Wright. 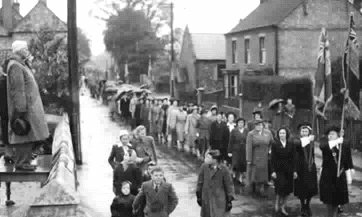 The photo on the right shows the parade passing along The Beck on its way to St Mary's Church. Lord Walsingham is taking the salute.